The length we go to for our kittens! This gorgeous little kitty named Tippy, had it going already from the beginning, but that didn’t stop it from turning a tough start in life into a wonderful, safe and loved experience with an amazing family, who took all necesary steps to make this little kittens life, all the best it could be! Multiple trips to the vet, imagine the cost already, and the time spend to make Tippy feel welcome as any other ‘normal’ little cat. This came perfectly natural for this family, as Tippy was adoped into this loving family, as if she was one of their own children. Read this touching story below. 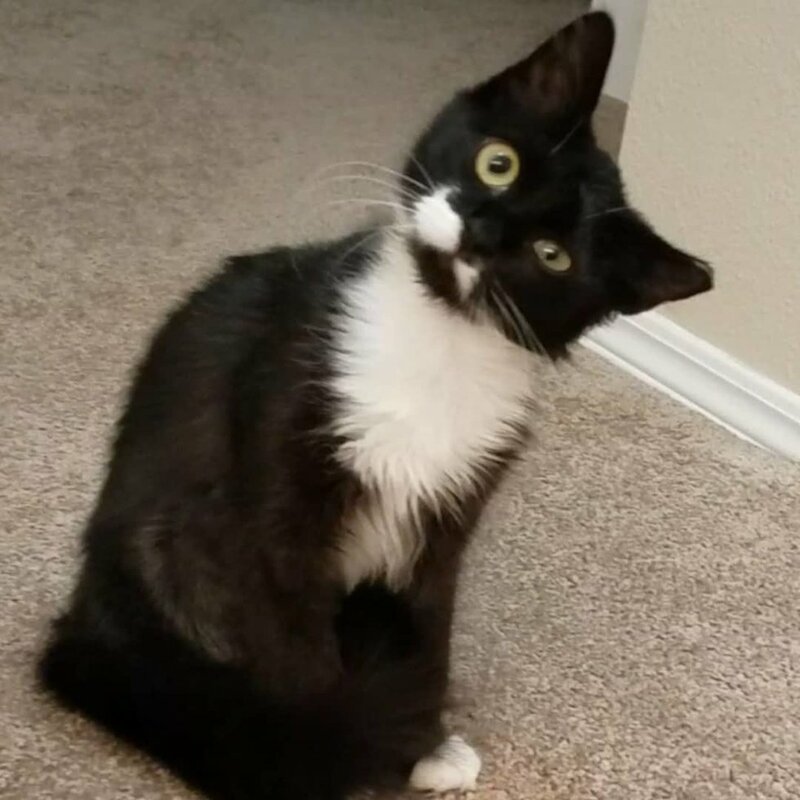 A kitten with a full head tilt was surrendered to an animal shelter for a chance at a better life. Tippy was brought to Cat Utopia of Pendleton, Oregon, after she was found during a TNR (trap-neuter-return) project. The kitty was in desperate need of medical attention. Deanna from Eastern Oregon took her in as a medical foster. 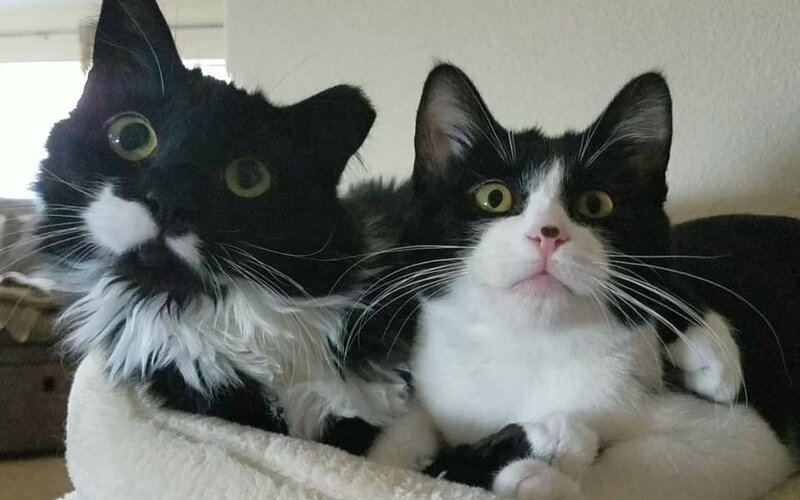 “She had chronic ear infections as a tiny kitten, and because she was one of a large horde, her ear infections were not properly treated,” Deanna told Love Meow. Tippy shook her head rather often due to discomfort in her left ear. She was very dizzy and unable to eat. Despite all the challenges, she was so loving and sweet as if she knew help had arrived. Two days later, she underwent ear surgery to have a polyp removed. 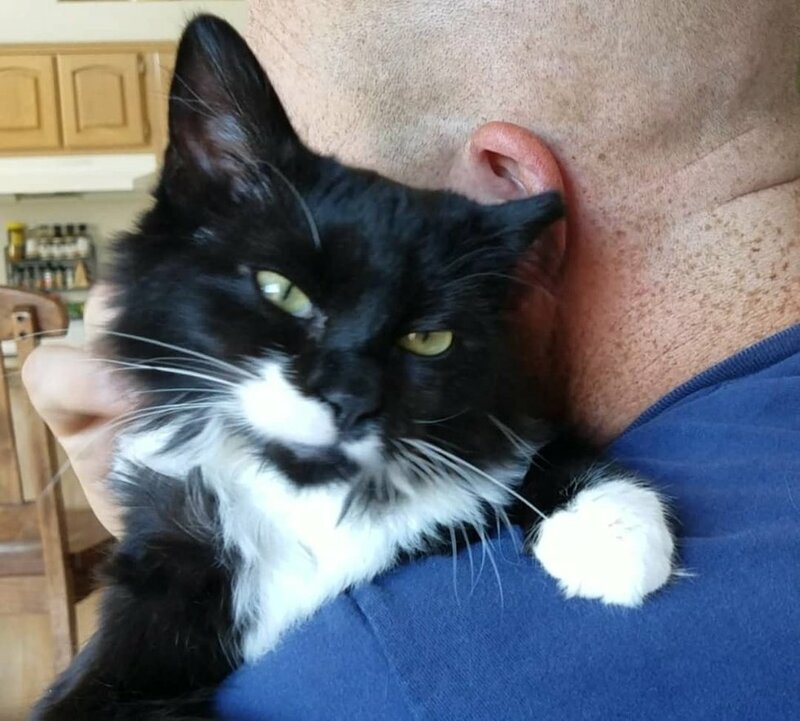 When she was discharged from the hospital, she felt much better and purred nonstop. 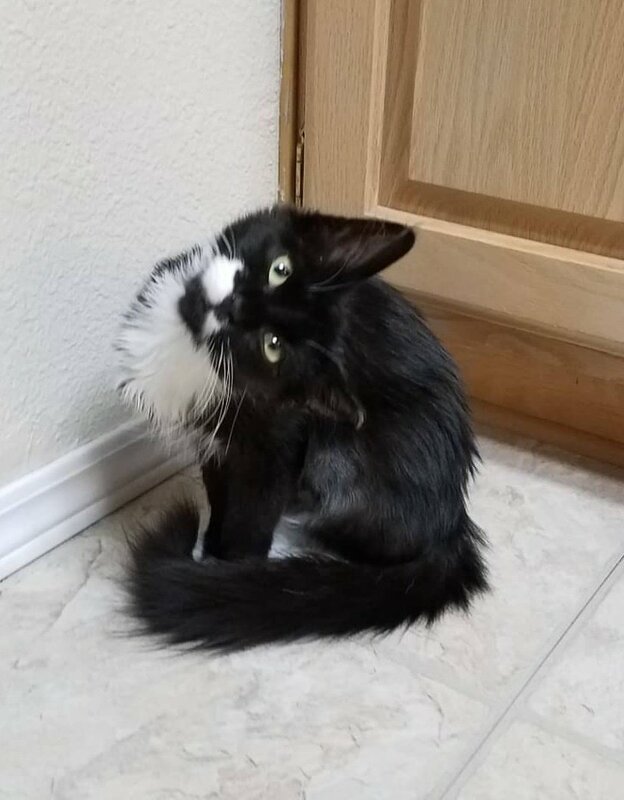 Tippy has a rare vestibular disorder, where she holds her head to the side (referred to as a vestibular tilt). There are ongoing challenges as Tippy has episodes of vertigo, which cause her to experience a rocking type of dizziness. She’s also developed Horner’s Syndrome, a neurological disorder affecting her symptomatic nerve in her eyes. She can’t hear from her left ear, but the brave little girl doesn’t let anything stop her from loving life. 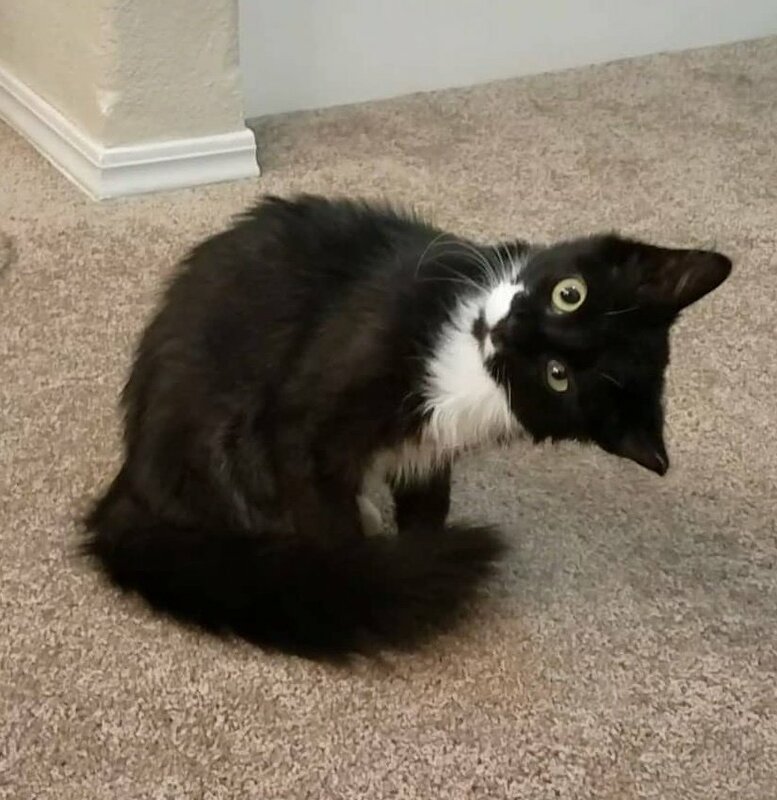 “Tippy has her head tilt, which is her attempt at seeing the world as she believes it is,” Deanna said. “Tippy loves to bird watch, and she loves chips of ice that might fall out of the ice maker on the fridge,” Deanna told Love Meow. She often offers a helping paw in the kitchen, supervising her humans and giving culinary advice. “She is very affectionate and literally hugs me. She never complains, and I don’t believe she has pity on herself,” Deanna said. Share this story with your friends. Follow Tippy and her adventures on Instagram and Facebook.